A digital marketing plan is an essential map to achieve the objectives of your brand. It is, therefore, a tool with which all marketing teams have to work day by day. But just making a plan does not guarantee the results we seek. To be truly effective, a digital marketing plan must include all the necessary information and be practical in guiding our actions. If we dedicate time, care and resources, the results will be worth it. So, let's see how to make an effective digital marketing plan step by step. No need to take notes, we’ve created downloadable template for you! Why is it necessary to have a digital marketing plan? The environment of the brand, both internally and externally. The objectives that are intended to be achieved and that will always have to be coordinated with the general business goals of the company. Some companies choose to include the online marketing plan as a section of the general plan and others work with separate departments, but it is important that they are always coordinated. The strategies and actions that we are going to carry out to achieve those objectives (temporary planning, description of the campaigns, tasks, etc.). How are we going to measure the results of the actions? Gain in depth knowledge of the market and your target audience. A good marketing plan always begins with a research phase that will allow us to know what the situation is and how we can respond to it. Align digital marketing actions with the overall objectives of the brand, so that all departments of the company are rowing in the same direction. Use the resources that are available in an effective and organized manner, without unnecessary budget or staff time. Improve internal communication, since all team members can use the marketing plan as a guide to coordinate with each other. Improve communication with the client. 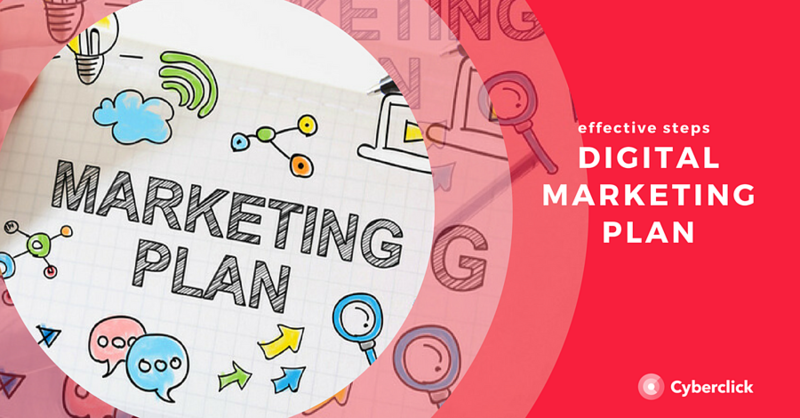 In the case of marketing agencies, it is essential to develop the online marketing plan jointly with the client, to ensure that it meets their expectations and needs. Throughout the project, client and agency can refer to the plan to follow the evolution of the actions. To know where we want to go, the first step is to see in detail in what scenario we are in. Therefore, an effective online marketing plan always starts with a research phase. What are the products and services we offer? What is the unique selling proposition of the company? What have we done so far in our online marketing and what results have we obtained with it? Is there talk of us in the networks? How is our website? Are there aspects that we need to improve? What is the competition doing? How does our brand compare and what can we learn from them? Specific (specific): the objectives must be detailed and concrete. Try to answer the basic questions of what, who, where, when, how and why. Measurable (measurable): if we can not concretely measure an objective, it will be impossible to know if we have reached it. Therefore, you should think about what KPI you will use and how you will define success. Achievable (achievable): goals that are too easy or too ambitious do not work for us. Realistic (realistic): that is, that it takes into account our previous resources and achievements. Time-bound (in time): finally, we will have to specify a deadline for our goal, in which we will establish a control to see if it has been fulfilled or not and why. It may be useful to divide a global goal into smaller objectives, in order to correct the course as we move forward. Increase brand awareness among the target audience. Reach new markets, either by location or by type of audience. Improve the return on investment (ROI). Expand the market share with respect to the competition. Increase the profits of the company. The buyer person is a portrait of our ideal client, which helps us to focus our product and service offer and guide all the segmentation of the brand. Sometimes it may be necessary to define more than one profile, if we have product lines for different types of users. The user's online and work behavior. What their aspirations and needs in relation to the brand. What kind of content we are going to create and how we are going to distribute it among our target. Here we can define different formats and create a content calendar that helps us in planning. When it comes to raising the content, my recommendation is that you think both of the buyer persona you have defined before and in the different phases of consideration. The more the user has advanced in the conversion funnel, the more specific and focused the content that we offer can be. The keywords are the backbone of our SEO and SEM efforts and all the content that we are going to create. For its key role in structuring the web and direct traffic to it, we need to dedicate a special section within the content plan. The relevance of the keyword for our brand. The intention of the user searching for this keyword (at what stage of the funnel is it found?). The world of social media offers many options to promote our brand, but it is always better to focus on those that are more adapted to the objectives and define well for what we are going to use each of them. Therefore, in this section of the digital marketing plan I propose that you include the different social networks and other media that you are going to use and the objectives that you hope to achieve with each one of them. Using as reference the objectives that we have defined in section 2, now we are going to "translate" them into key metrics or KPIs. For each key metric, we can set a monthly goal (or with the periodicity that makes the most sense for our plan) and establish what controls we will perform to make sure we are on the right track. Finally, to come to a close on our marketing plan, we must answer the following question: what will happen if the objectives are not met? For each one of the KPIs that we have defined in the previous section, we need to think about a response plan before different scenarios, for example, what we will do if we do not reach the objectives by 75%, 50% or 25%. We can define different actions such as diversifying the platforms, opening new investment channels or even rethinking aspects of the plan that are not working as we expected. And ready! You already have everything you need to start working with your team and achieve all the objectives that you propose in your digital marketing. I hope that now you have more clear how to develop a digital marketing plan that responds to the needs of your brand. To make it even easier, we have developed a downloadable template with all the slides you need to create a complete online marketing plan. You can download your template here.